Updated: Clash of Clans new update has been announced today with several new balance changes and enhancements. The Supercell team has brought few other changes and improvements from December update. The June 2018 update comes with new troops, new defensive buildings, and new levels and much awaited Town Hall 12. The new update comes with various changes such as level 4 is now available at town hall 9, level 6 is now available at town hall 10, multi-mortar gear-up is available to upgrade a single Mortar at town hall 10 and many more changes which are mentioned below. So we can say that the new update has brought so many changes for the CoC lovers, which makes it more interesting to play. 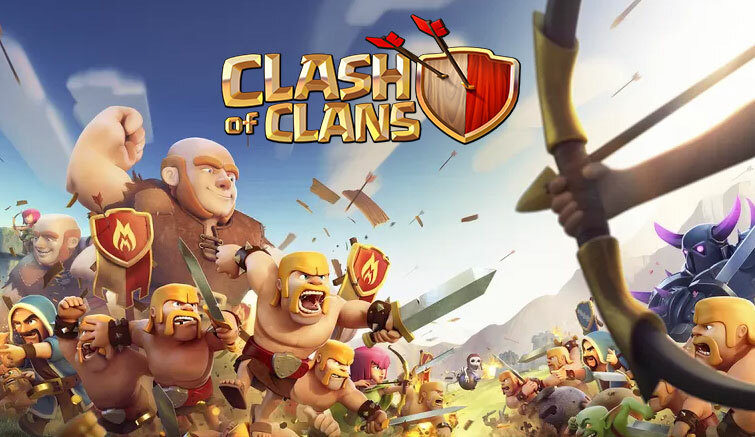 Clash of Clans developed by Supercell is a strategy action game where players collect resources from the game to build their own village. Clash of Clans is divided into two parts, in the first, you have to build your village using the gold coin and purple elixir as currency when your village improves so you can build a new building that provides new tools for attack and defence. As for the second part, you can attack someone else village and take their trophies. If you earn more trophies so you climb the ranks in the game. Therefore, the game has become one of the popular strategy games for smartphones. Now we have included the latest APK file of Clash of clans so you can download the latest version of this game from the link provided below. There’s a new festive loading screen! The gameplay is very interesting and addictive for the mobile game lovers but your age must be at least 13 years to play this game. The game is free to download but if you want more things in the game so you can purchase some game items from real money. You can download the latest version of Clash of Clans from the link provided above. However, the game is also available to download on Google Play store but we know that it takes a long time to provide the new file. Stay tuned with AndroidGB for more on the Supercell games latest updates, news and other related details. If you want to download Clash of Clans latest APK file so we provide a direct download link above. Furthermore, do share your problems and thoughts on Clash of Clans latest update in the comment section below. Change your device for this version…. I can’t download it… Whyyyyyy? refresh the page…then you are able to download latest APK…. Yup….you can also download from Google Play Store…. Can it work on the kitkat 4.2.2? Coc makers please reduce time it take very long time higher upgrades and resources also. what jellly bean operationsystem can install this game? this mod is still working till now????? do i need to delete the original clash of clans??? ?